This is a sponsored post by Riders® by Lee® . All opinions are my own. During the colder months in LA, I’ve grown to love wearing jeans. So when Lee Jeans reached out to me to participate in their style challenge, of course I said yes! They sent me the Women’s Plus Slender Stretch Slimming Boot cut Jeans which come in medium, petite and long lengths. Since most jeans are usually too short on me, it was a nice treat to find a boot cut jean in a longer length. Also, I loved the comfort waist band in these jeans! I opted to style the with a leather jacket layered over a top and some boots. You make anything look great. Love the jeans with the leather jacket. Nice to see you in jeans! 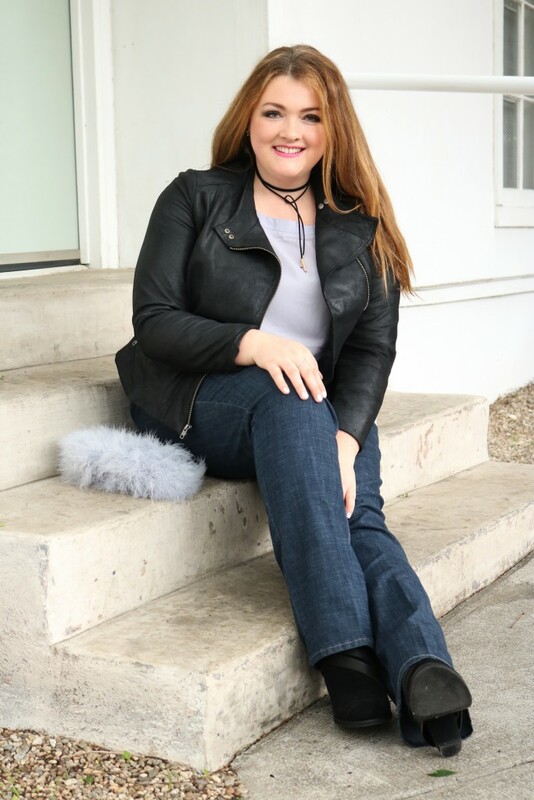 Thanks Alyssa – I am learning to love jeans and wear them more, especially as it gets colder!